For all of its alleged intuitiveness, I have a crappy track record with Apple and its products. Within five minutes of getting my first iPod, I accidentally set the language on the unit to an umlaut-heavy Scandinavian tongue. My iTunes program crashes more than the lead group in an early season Cat. 5 crit. And Apple’s so-called geniuses and their air of smugness give credence to the argument that some should never be addressed as a genius. . . . It includes a 3.2-inch color screen, FM radio, the ability to wirelessly browse and buy music on the fly or syncing with your music library on your computer. You can even share files wirelessly with other Zune users — if you can find another one! — which is a challenge in itself. Indeed, the digital player by Microsoft is still the underdog and users are few and far between. At $250, it’s the same price as the iPod Classic, but it has less storage. The Apple unit offers an additional 40 GB. This begs a question? 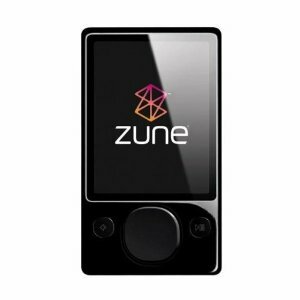 Who should consider a Zune? Music geeks on a budget, for one. Zune offers a Zune Pass, which costs $14.99/month and allows you access to the majority of Zune’s library. (See my Zune Pass review here.) If you want access to a lot of legal music, the Pass is a great deal. You can download to your heart’s content and have access to the music as long as your subscription is active. It also lets you download 10 songs for keeps per month. As far as the touch controls go, the iPod has the Zune beat. Scrolling on the Apple is a bit easier and you can scale from A – Z more quickly. But, the picture and video functions definitely give Apple a run for its money. But there are a few glitches. Sometimes it doesn’t turn itself off, and I’ve found the battery drained when I wanted to use it. And if you don’t connect your Zune to your computer for a week or two (which effectively signs you in to the online system so the device knows your subscription is still active) it won’t give you access to the music on your subscription plan. Annoying. For use outdoors, it is durable. I’ve dropped it a few times on the ground and into wet snow. After the impact and the melting snow, it’s been no worse for wear. If you’re looking for an alternative to iPod, definitely scroll from Apple to Zune for a listen. Update: It looks like my Zune is kaput, about 15 months after I started using it. Earlier this week, a screen popped up on the player asking me to sync it with my Zune account. Chaos ensued. After uploading and updating software multiple times, hearing a scary whirring sound coming from the device, it finally suggested I contact customer support for repair after multiple fix attempts. Unfortunately, the 12 month warranty is expired. The cost to repair the $250 device? About $160. Ugh. Zune fail.